[root@0c65319d7c65 installer]# wget --no-cookies --no-check-certificate --header "Cookie: gpw_e24=http%3A%2F%2Fwww.oracle.com%2F; oraclelicense=accept-securebackup-cookie" "http://download.oracle.com/otn-pub/java/jdk/8u92-b14/jdk-8u92-linux-x64.rpm"
Connecting to download.oracle.com (download.oracle.com)|110.232.152.34|:80... connected. Connecting to edelivery.oracle.com (edelivery.oracle.com)|23.67.164.165|:443... connected. Reusing existing connection to edelivery.oracle.com:443. Connecting to download.jboss.org (download.jboss.org)|104.77.54.50|:80... connected. 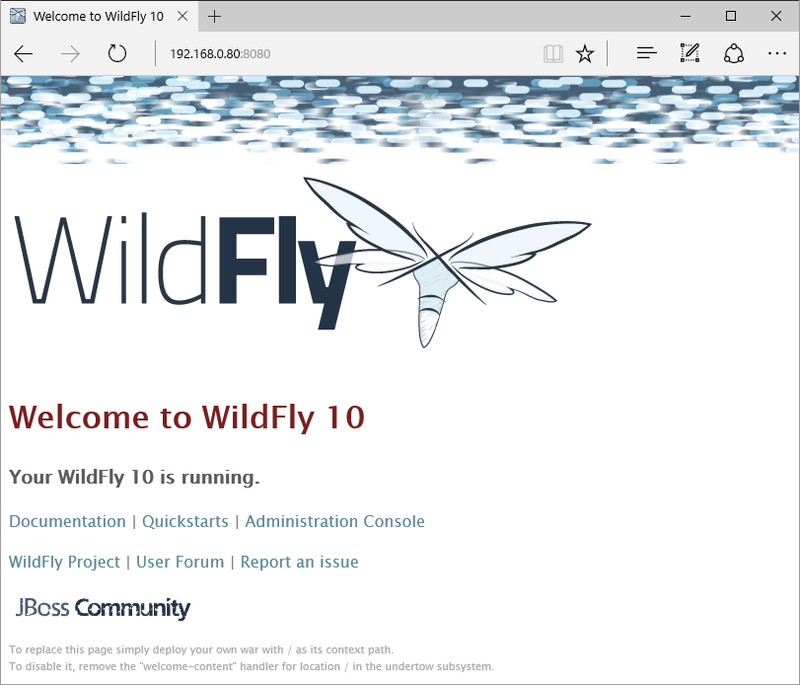 Changing password for user wildfly.